Hopeless is one of those books that will forever stay with you and it will move you unlike anything you’ve read before. It’s a gripping story of survival and love. This book is so incredibly heartbreaking and emotional that I know I will never be the same again. Some words that come to mind are hauntingly tragic but it’s also so incredibly beautiful…this is the kind of story that will make you hug someone when you are done reading it! Sometimes when a book is so over publicized with regards to it being AUH-MAZING…I always worry that I might be disappointed. This was not the case at all and you should absolutely believe the hype because yes, it’s that’s good! This book tackles two issues that are extremely dark and it’s handled in a way that gives them both the respect and attention they deserve. These topics are explained with dignity and courage. Not every author can do that and Colleen Hoover did so with the brilliance of her words. I was emotionally invested in Sky from start to finish and her long-winded run-on sentences had me cracking-up! Sometimes I was even mortified at her complete candor but truthfully, I know so many us wish we could speak that freely! Sky is everything a heroine should be; she’s fierce, witty, loving, brave and forgiving and Holder is every bit as complex as Sky. He’s swoon worthy, he’s dark and is equally as broken as Sky but that’s what makes them work. There was not one thing that I didn’t like about Sky or Holder and their love story is sweet, innocent, exquisite and at times, even a bit desperate. I really thought I had this book figured out and I couldn’t have been any more wrong even if I tried! This book is beyond raw and I found myself doing the ugly-cry. When I say ugly-cry, I mean the most hideous form of crying possible! 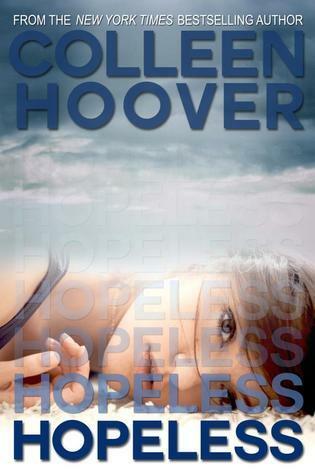 When I was done reading Hopeless I sat on my bed emotionally drained, loving what I just devoured and I was unable to think of anything else but Sky and Holder. My final two cents: My words are completely inadequate for such a breathtaking but beautiful book, so embrace this story because you will never be the same again. I loved Slammed and Point of Retreat, I can’t wait to read this one! Great review! Thank you Lexxie!!! Its a slow building-character driven story and so incredibly good! I hope you enjoy! This was my favorite book for 2012. I adored it! My review doesn’t do this book justice. I was seriously at a loss for words..this book is auh-mazing! Thanks for stopping by!